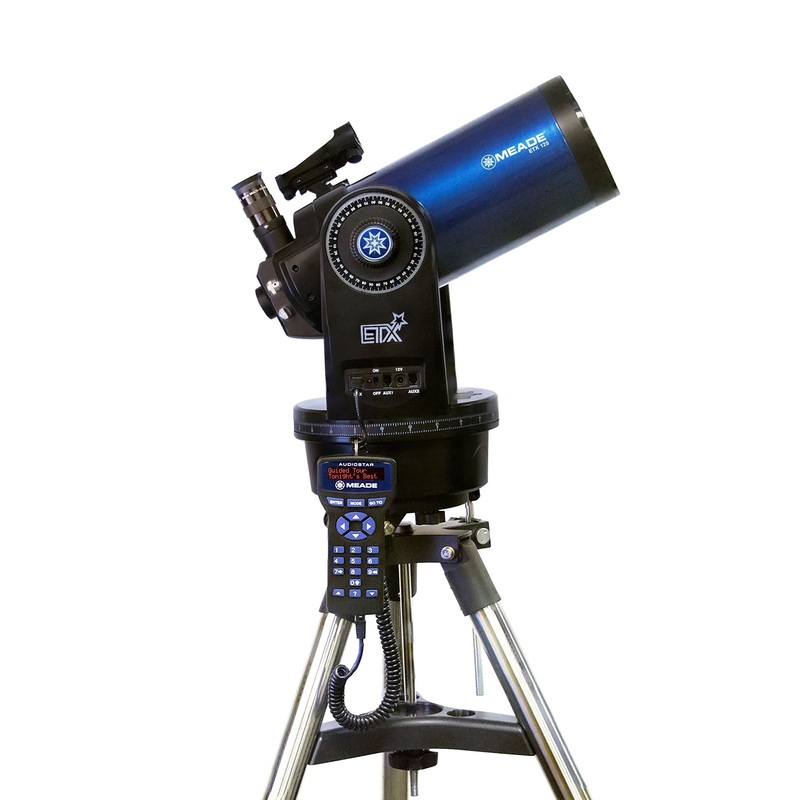 The return of the extremely popular ETX125 takes mobile astronomy to the next level. 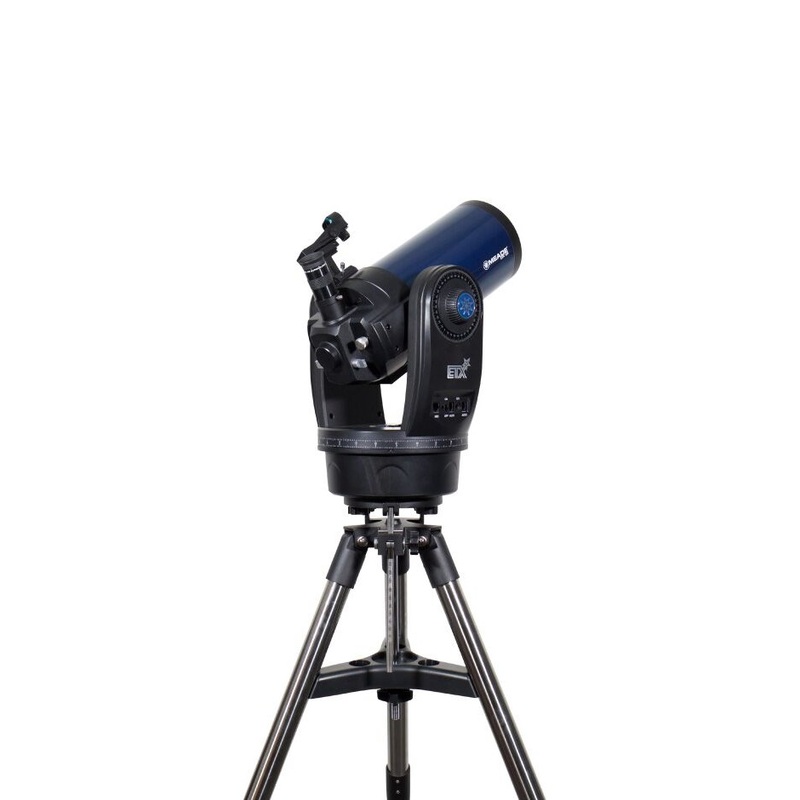 This large 127mm Maksutov-Cassegrain telescope marries the portability of the ETX with Meade’s premium optics. Enjoy detailed close-up views of the Moon and planets, and be amazed by the stunning views of star clusters, nebulae, and more! The ETX125 Observer is a fully-equipped GoTo telescope that includes the AudioStar® hand controller. In addition to finding and tracking objects in the night sky for you, the AudioStar® controller boasts a number of features of its own, including a 30,000+ object database, built-in speaker, and over 4 hours of of audio content that educates you about objects you observe. 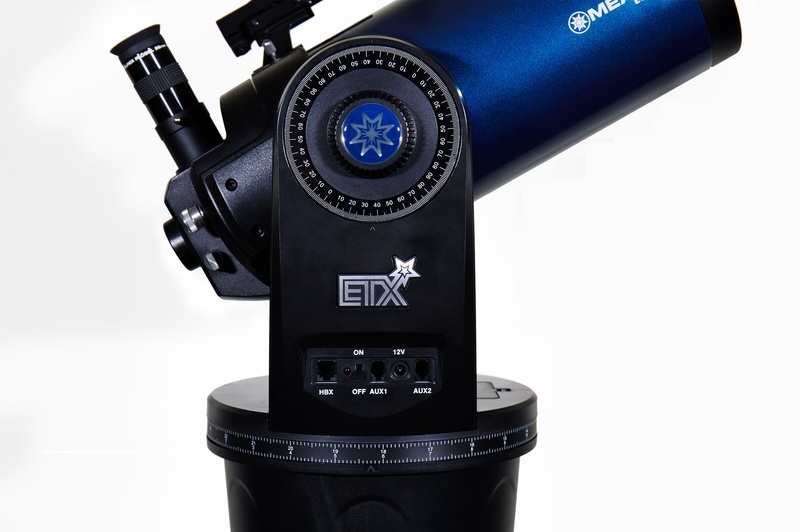 The ETX125 Observer has a Maksutov-Cassegrain optical design for pinpoint star images and extraordinary contrast, making it a great deep sky performer and ideal for detailed lunar and planetary observation at high magnifications. The Ultra-High Transmission Coatings (UHTC) give maximum light transmission, ensuring the brightest images and the highest contrast. It has a flip mirror included to let light focus to the rear of the telescope (instead of the mirror reflecting the light 90 degrees to the eyepiece), allowing attachment of a camera on the back of the scope (adapters not included). The ETX125 also comes with a bubble Level/Compass to make sure your tripod and mount are level. 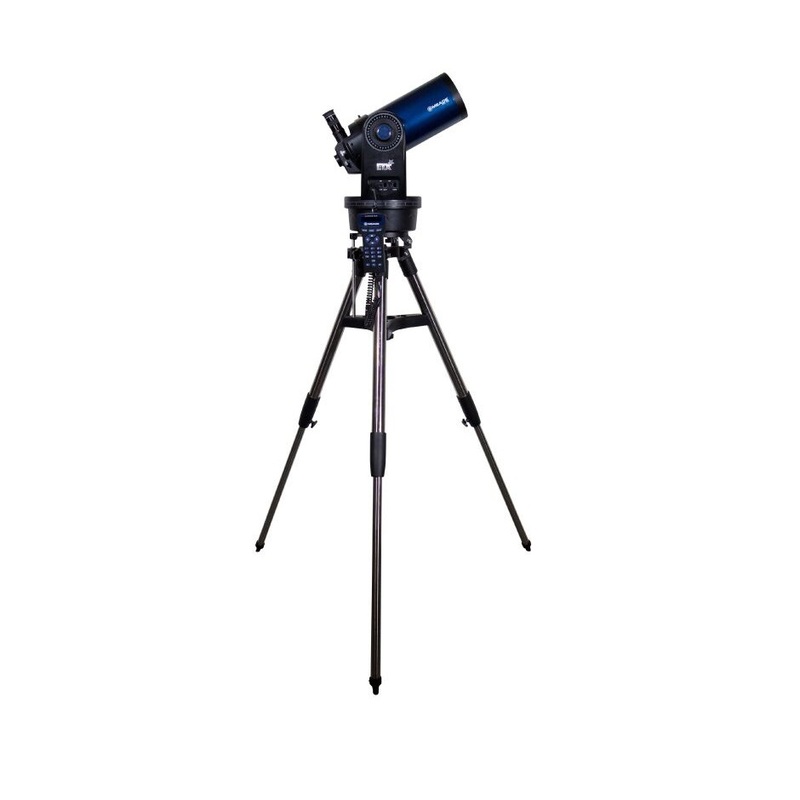 Includes a portable but extremely stable full size steel tripod, and comes with an equatorial tilt plate, allowing for polar alignment which is ideal for simple astrophotography. Click HERE for Instructional Video on How To Setup & Align Your ETX Observer Telescope.